Sending a child away to college – or going off to school on your own as a fully independent student – can prompt a boatload of worries about how to pay higher education expenses. While the rising cost of college is largely out of your control, what is in your control is a series of choices you can make, starting with where you attend school and what you do once you’re there. Here are 10 easy ways student can lower college costs and avoid student loans. Too many students and their parents choose certain schools just because those colleges and universities have brand-name appeal. They may not be the best fit for the student (academically, financially or socially) and they might not be affordable. Nonetheless, the family goes all in for the school – doing whatever it takes to attend. Unfortunately, if the school hasn’t offered sufficient merit-based aid or need-based aid, the family typically winds up in massive debt. If taking on large amounts of debt (like student loans or home equity loans) is the only way to attend a given school, even if it’s an Ivy League institution, you’re probably better off going elsewhere. Having a vehicle on campus is a lifestyle consideration that most families don’t realize will drive up college costs by many thousands of dollars over a four-year education. According to studies from the National Parking Association, the average college in the United States generates roughly $635 per space and about $4 million to $5 million in total annual parking fee revenues. Believe it or nor, at some schools — especially in urban areas like Washington D.C. where parking spaces are at a premium — $635 in annual charges for parking would be deemed a relative bargain. That’s likely the case at George Washington University, where students pay as much as $1,001 in parking fees per semester (daily only) or $1,102 per semester (overnight). That’s translates into an outrageous $2,002 or $2,204 in parking fees for the full academic year! The solution: ditch the car while attending college and opt for riding bicycles, taking public transportation or school-provided buses and shuttles, and using riding-sharing programs. Any student living alone in college is definitely driving up his or her housing costs – and needlessly so. Having a roommate usually cuts dorm rates, apartment rent and other housing living expenses by 25% to 50%. Freshmen especially should always have a roommate, not just because they’ll shave dorm fees, but also because a roommate can act as a source of social and academic support – an important factor in helping a student successfully transition to college life during the first year. Some students have the fortitude and tolerance to handle two or three other roommates, in a triple or quad housing arrangement. Those students save even more bucks on housing. College is a time of academic and social exploration. That’s fine, but just be aware that certain activities and hobbies will put a dent in your budget. Extra-curricular activities are one of many hidden college costs that catch students and parents by surprise. For example, some sports are more expensive than others, and social pursuits like joining a sorority or fraternity can cost $2,000 to $5,000 annually when you factor in the litany of chapter, membership and initiation fees plus other costs. One big mistake students make is that they quit applying for scholarships after they get on a college campus. There’s no rule that scholarships only go to high school seniors going into their freshman year of college. In fact, there are tons of scholarships and grant available for sophomores, juniors and seniors. So be sure to seek scholarships each and every year you are in school. After a student’s freshman year, he or she can typically qualify to become a resident advisor, or R.A., in a dorm. Some schools reserve this option exclusively for upper-class students (i.e. juniors and seniors). Resident advisors are students who help other students in the dorm. They do everything from letting students in if they forget their keys or get locked out to counseling students about their options if they have grade problems, financial woes or troubles with their roommates. It’s worth asking about the guidelines for becoming an R.A. since they often receiving free housing, or sometimes both room and board. The average cost of college books and supplies now tops $1,200 a year. 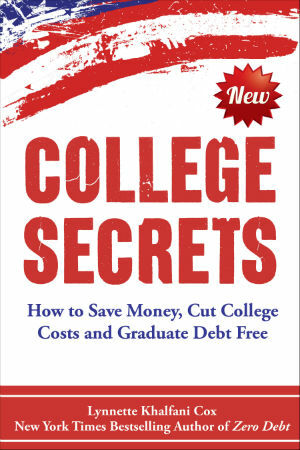 Reduce these expenses by renting textbooks, using e-books, and buying the international version of textbooks, which are about 70% to 75% cheaper than the U.S. version of a standard college textbook. One way to lower tuition is to ask whether the student qualifies for any waivers. Colleges and universities offer tuition waivers – which can lower or eliminate tuition costs – for numerous reasons. Here are just a handful of various tuition waivers: out-of-state tuition waivers, regional border waivers, waivers for military service, waivers for legacy students or children of college employees, waivers for Native American students, waivers for foster kids or adopted children, and automatic tuition waivers for students with high grade point averages or stellar test score. Just like you should seek scholarships every year, you should also fill out college financial aid forms annually. This means completing the FAFSA, as well as the CSS Profile if your school requires it. The FAFSA, or Free Application for Federal Student Aid, can make you eligible for need-based financial aid, as well as work-study programs. Moreover, many colleges and scholarship programs make it mandatory for you to submit a FAFSA – even if they are awarding you merit scholarships that are not based on your family income and assets. The four-year graduation rate in America is, unfortunately, pretty horrible. Only 39% of students attending four-year schools actually finish in four years. A 5th or 6th year of college costs you big time – especially in tuition expenses. Regardless of whether you’re attending a private school or a public university, you’ll face higher tuition charges year after year in most cases. That’s due to tuition inflation, which has recently been in the 3% to 5% range annually. Those tuition rates pale in comparison to what’s happened over the past decade —the annual rate of tuition inflation has been more like 8%. Tuition creep, in the form of ever-rising annual tuition is another hidden cost for most students in America. You can prevent such charges if you attend a school with fixed-rate pricing. 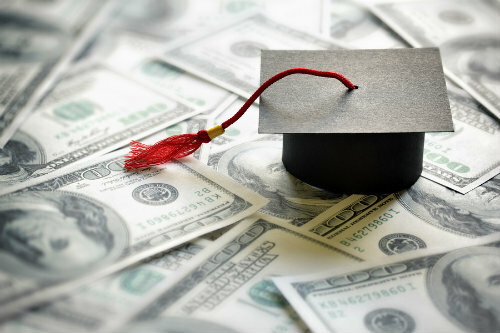 But even then, you’d better make sure you graduate in four years, since most tuition plans that keep your rates stable only last for eight semesters.